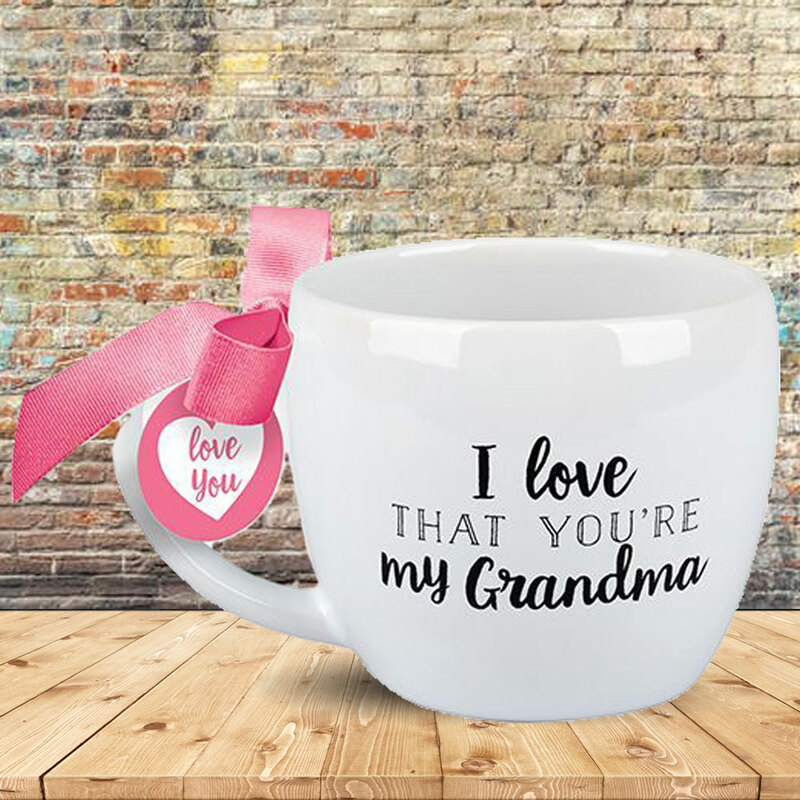 Show Grandma a little love with this inspirational ceramic mug! 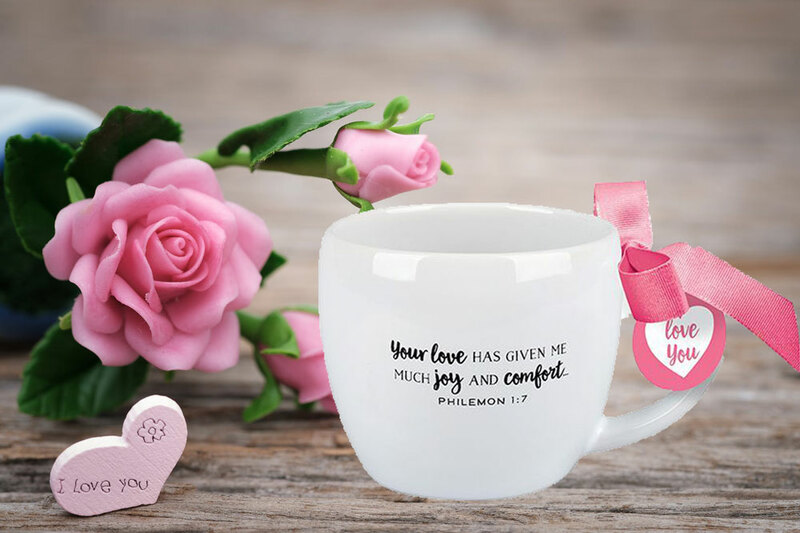 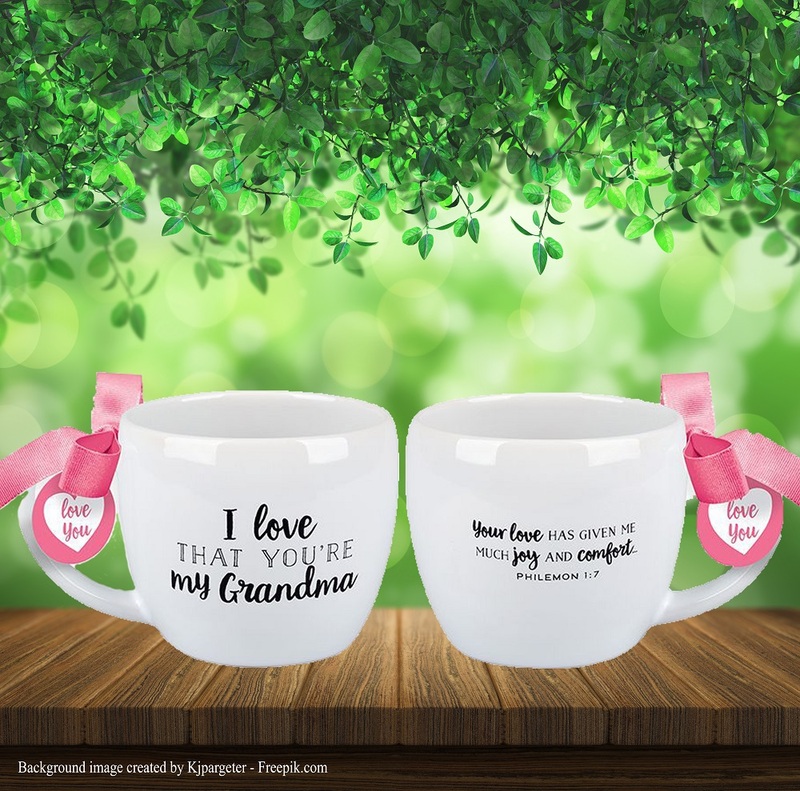 The message "I love that you're my Grandma" is printed on one side of the cup, with the scripture message "Your love has given me much joy and comfort." 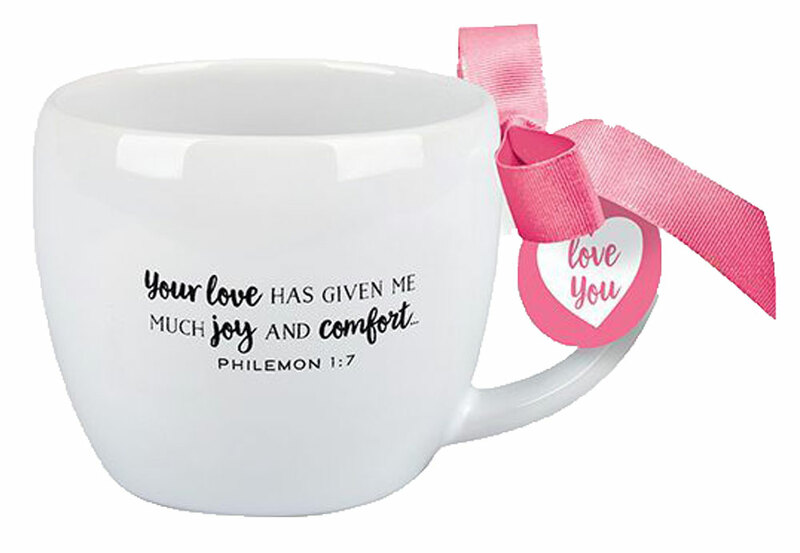 - Philemon 1:7 - on the other side. 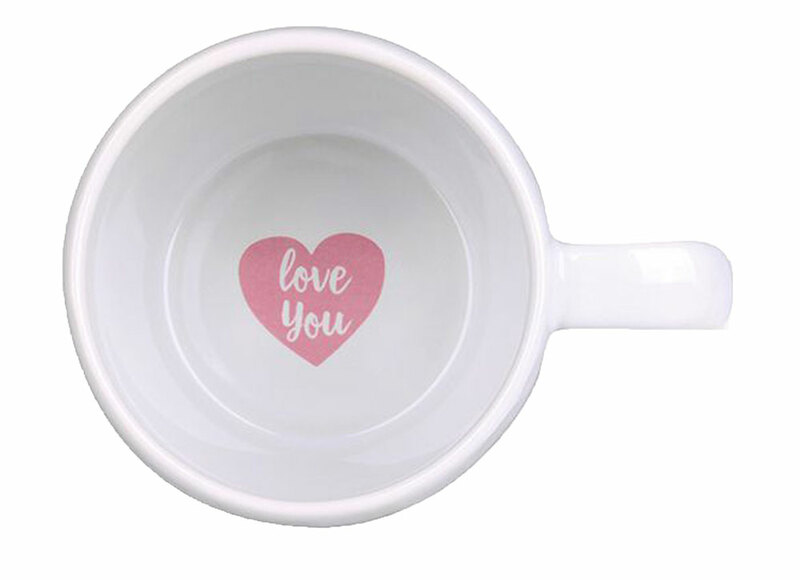 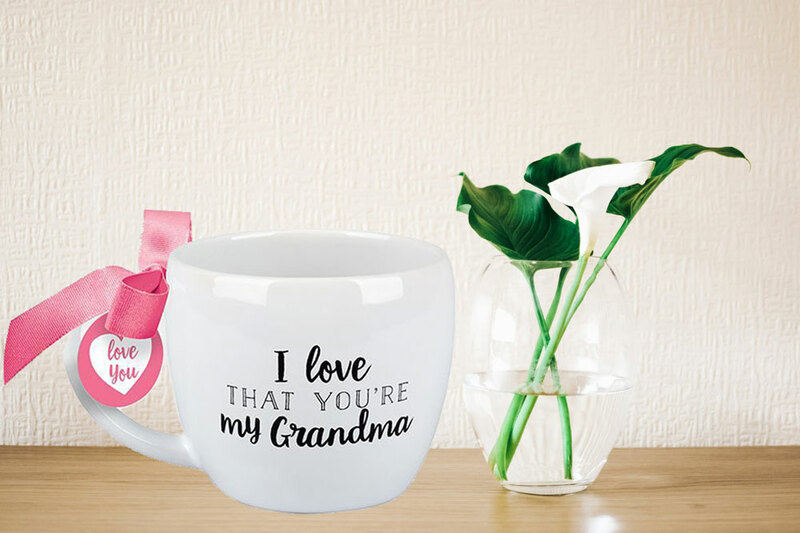 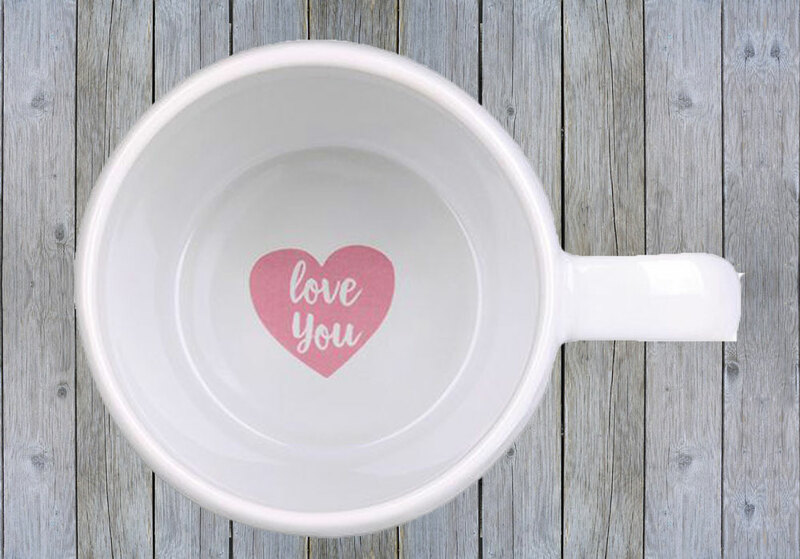 Inside the mug is the message "Love you", where Grandma can see it when she finishes her beverage. 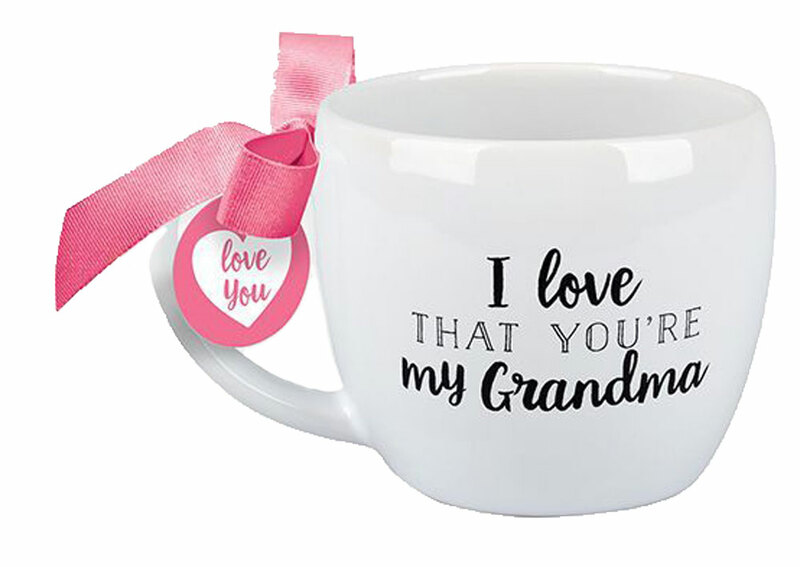 Tied with a ribbon, and packed in a gift-ready box, this unique mug will make a beautiful gift!